Consider participating in a co-op or internship or joining one of our professional or student organizations to enhance your classroom activities. There are a number of organizations open to graduate students, and they are a great way to grow your network, develop your leadership skills, and expand your knowledge of your field. Many of our Ph.D. students participate in summer internships with companies they are interested in checking out or on a project that relates to their research while our Master's students often choose to participate in the co-op experience. 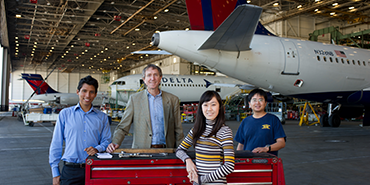 Georgia Tech’s Graduate Co-op/Internship program provides graduate students with the opportunity to work with industry and government leaders in their respective areas of study. Eligibility for the program is based on academic achievement at Georgia Tech. Research for doctoral theses may be related to the work assignments, and is jointly supervised by Georgia Tech faculty and company staff. Institute of Industrial Engineers (IIE) is the professional organization for IEs. 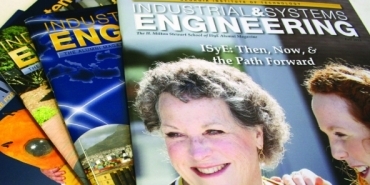 ISyE has the largest and most active IIE Student Chapter that organizes career fairs, company information sessions, site visits, alumni sessions, course information sessions, etc. 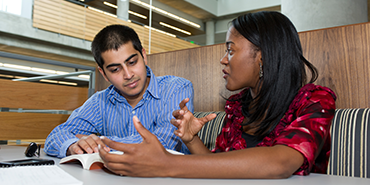 The Institute for Operations Research and the Management Sciences (INFORMS) is the largest professional society in the world for professionals in the field of operations research, management science, and business analytics. Graduate Student Government Association. Advocates on behalf of graduate students when it comes to issues including health care and student fees, and plans events such as the Career, Research, and Innovation Development Conference. Student Alumni Association. 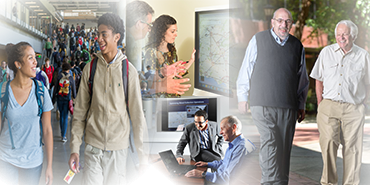 Offers opportunities to connect with alumni, hear from leaders of your chosen industry, and learn about Georgia Tech’s history and traditions. Graduate Society of Women Engineers (SWE). Provides programs, services, and support to female graduate students of Georgia Tech in STEM fields, focusing on professional development, mentoring, and networking.